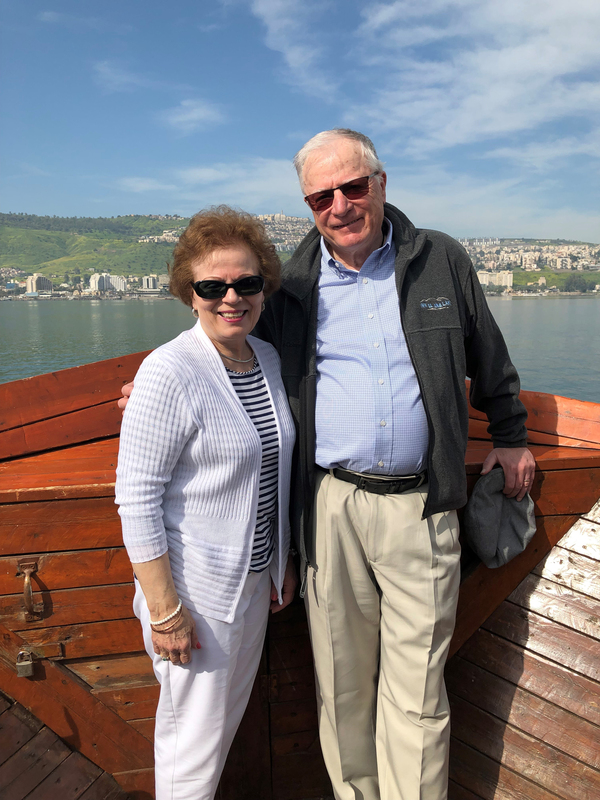 This morning, we sailed across the Sea of Galilee, the lake that will be forever associated with Jesus. I requested that the motor on the boat be shut down for several minutes so that all of us could quietly meditate on Jesus walking on the water, the familiar story that was the basis for my devotional given to the entire tour group. During the time of Jesus, the sea of Galilee was a waterway, and means of transportation that linked different political and regional factions. Jesus inserted himself right in the middle of all of these controversies; we must remember that 90% of his ministry took place in this region. While our boat was floating in the middle of the lake, we reflected on the fact that, for a time, two people walked on this lake—Jesus and Peter. Yes, this disciple had the courage to get out of the boat to walk toward Jesus. Then we read, “When he saw the wind, he was afraid, and beginning to sink he cried out ‘Lord save me!’” (Matthew 14:30). Are you seeing the wind today? It often seems so much more visible to us than Jesus. But Peter taught us that we must always look beyond the wind to the Creator of the wind and the seas. And if we fix our eyes on Him, we will make it safely to the other side of the lake! Each time I’ve toured Israel, we’ve crossed the sea of Galilee. But I never lose the excitement of crossing this small body of water remembering that while the disciples were fearfully rowing, our Savior showed His authority over the water, the wind, and our greatest fears. Thankfully the “Stranger of Galilee” is not a stranger to those who trust Him.